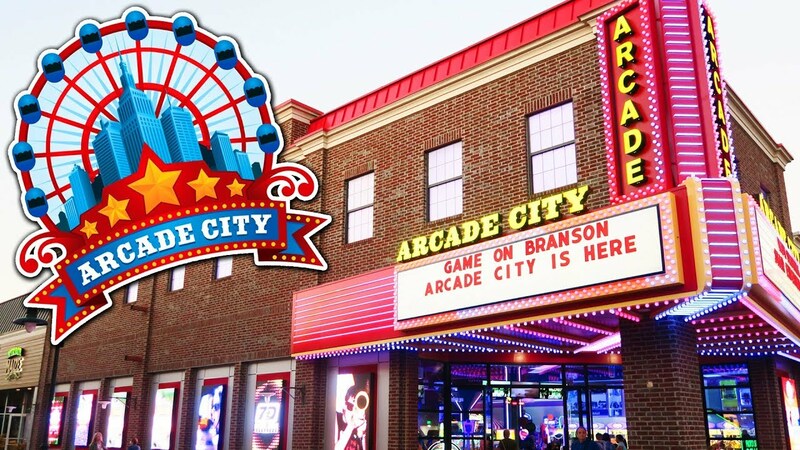 The Arcade City is a new attraction in Branson that provides every visitor the most unique experience in entertainment. Unlike the arcade of the 80s, Arcade City is mixed with latest games to create a new gaming experience for all ages. Arcade City has the perfect blend of amusement and entertainment that is sure to give a memorable adventure for visitors of all ages. This new attraction at Branson Landing has two other locations in Pigeon Forge, Tennessee, and Orlando, Florida. The Arcade City at Branson Landing can be found between Joe’s Crab Shack and Maurice’s, said Arcade City’s marketing manager Collin Wheeler. Arcade City started to make plans in finding a good location in Branson in early summer last year. The construction of the Arcade City on the landing started in late May to early June last year. The Arcade City at Branson Landing is a great addition to the different tenants already on location and it would add to the family experience, said Allison Scowden, marketing and special events coordinator for Branson Landing. Arcade City opened its doors at Branson Landing next to the newly opened 3D Corn Maze. This game attraction at Branson Landing offers a great arcade experience to kids and to people of all ages. This new game venue will add a whole new dimension to gaming experience at the Branson Landing. The Escape Room that also opened nearby is also a great place to enjoy a thrilling game adventure that is filled with many mysteries to unlock. At Branson Landing, you will also find the 7D Dark Ride Adventure, an interactive shooting game for all ages. This exciting ride adventure combines elements from roller coaster simulators and the senses with the use of wind, light, and sound. From zombies to a robot creating crazy scientist, this is an experience that guests won’t forget. Another attraction at the Landing that you can enjoy is The Mirror Maze. This new concept for FACE Amusement, is an indoor corn maze using all mirrors. The interior designed to evoke a Missouri style barn, features sound and lighting effects. The guest will enter the maze with goal to find a lost farmer, and then try to work their way back out of the maze. A state-of-the-art gaming venue, Arcade City is a new attraction in Branson with a mix of the newest arcade games and classic games with a twist.